Planning a July 4th picnic? Chips and dips always go along with a picnic at the park with hot dogs and hamburgers. Surprise everyone with a fiery July 4th Sriracha hummus dip. No preparation required. I bought a bag of Tostitos Roasted Garlic& Black Bean chips, the 9 Grain Blend healthy kind. Grabbing the hummus out of the frig, I got the idea of squirting a blob of Sriracha Hot Chili Sauce in the hummus and dipping a chip in it. Oh yeah, it’s got a bite to it. Really good! Really spicy! 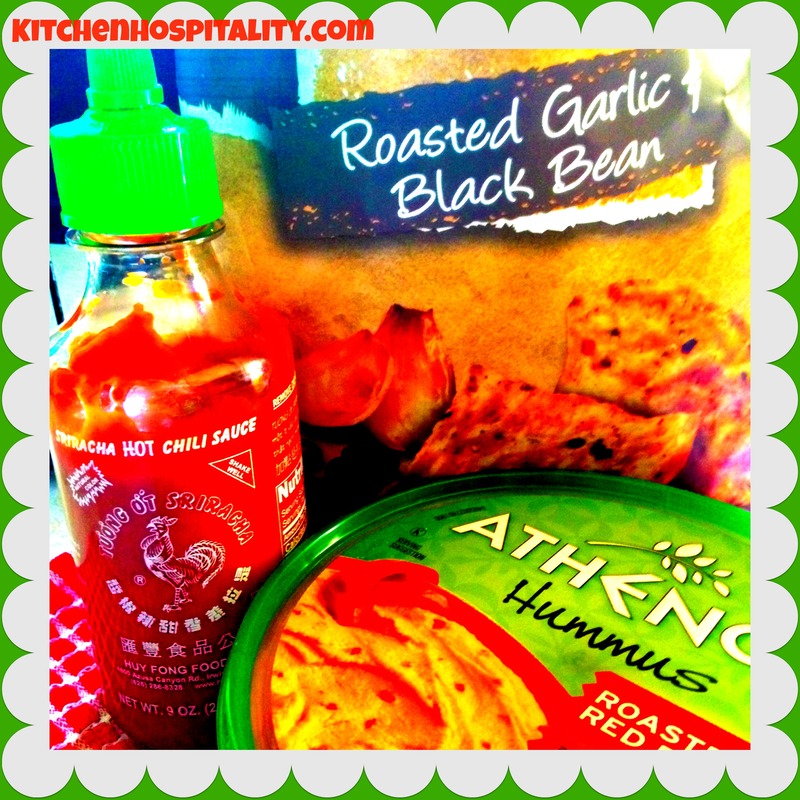 After dipping several chips in the zesty dip, I was hooked on this new Sriracha hummus. Try out the dip. Go by the store, grab the chips, Sriracha Chili Sauce, two containers of hummus (one with and one without Sriracha in case someone doesn’t like “fiery”) and you’re all set. Hint: extra bottles of water wouldn’t be a bad idea either! Spice it up with Sriracha Chili Sauce.